Here's some more Christmas fun. You guys have to check this out. 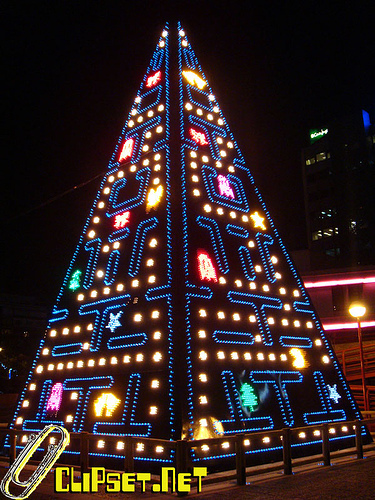 This is a very large Pac-Man Christmas tree. A group of Pac-Man fans in Madrid created this with a lot of hard work. I would love to have this as a decoration at my house. Click here to view the video on it if you can't see it below. Complements of Engadget.